The polls are in ... This happy-go-lucky D.C. beer tour is a winner! 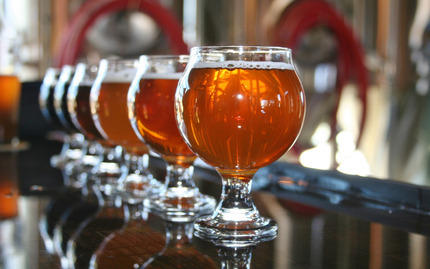 You'll be rolling in style with DC Brew Tours to some of the top breweries in the city. At each, you'll enjoy an insider's experience as you sample a few of their tasty products, find out a few of their craftsmanship secrets, and learn a little about the city's beer history. All told, you can expect up to 15 beer samples on the tour. Adding to the fun, you'll also hit up a local restaurant for a delicious lunch and beer pairing! This engaging experience is the perfect opportunity for both novices and connoisseurs to expand their knowledge of brewing the nation's capital, spend some quality time with friends, or even make some new ones! We wish you were beer! Note: You must be at least 21 years old to participate; ID is required. At least 4 people are required for a tour to run. You will be notified 12 hours in advance if the minimum is not met.